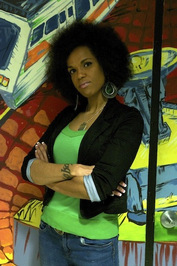 Walidah Imarisha is a writer, public scholar, educator and spoken word artist. She co-edited the anthology Octaviaâ€™s Brood: Science Fiction Stories from Social Justice Movements (AK Press/IAS, 2015), and was one of the editors of the first anthology about 9/11, Another World is Possible (Subway Press, 2002). She has authored a poetry collection Scars/Stars (Drapetomedia Press, 2013), and the nonfiction book on prisons Angels with Dirty Faces: Three Stories of Crime, Prisons, and Redemption (AK Press/IAS, 2016). Her work has appeared in dozens of publications, including the hip hop anthology Total Chaos: The Art And Aesthetics of Hip Hop, Letters From Young Activists, Word Warriors: 35 Women Leaders in the Spoken Word Revolution, The Quotable Rebel, Daddy, Can I Tell You Something, Joe Strummer: Punk Rock Warlord and Life During Wartime: Resisting Counterinsurgency. She directed and co-produced the Katrina documentary Finding Common Ground in New Orleans. She has taught in the Portland State Universityâ€™s Black Studies Department, Oregon State Universityâ€™s Women, Gender and Sexuality Studies Department and Southern New Hampshire Universityâ€™s English and Literature Departments. "There was a time I believed prisons existed to rehabilitate people, to make our communities safer. . . . When I saw for the first time (but not the last) a mother sobbing and clutching her son when visiting hours were up, only to be physically pried off and escorted out by guards, I knew nothing about that made me safer. This is the heart of this country's prison system. And the prison system has become the heart of America. "â€”Walidah Imarisha, from the Introduction. 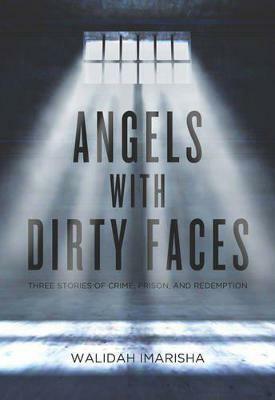 Angels with Dirty Faces is no romanticized tale of crime and punishment. The three lives in this creative nonfiction account are united by the presence of actual harmâ€”sometimes horrific violence. Imarisha, dealing with the complexities of her own experience with sexual assault and accountability, brings us behind prison walls to visit her adopted brother Kakamia and his fellow inmate Jimmy â€œMacâ€ McElroy, a member of the brutal Irish gang the Westies. Together they explore the questions: People can do unimaginable damage to one anotherâ€”and then what? What do we as a society do? What might redemption look like? Imarisha doesnâ€™t flinch as she guides us through the difficulties and contradictions, eschewing theory for a much messier reality. The result is a nuanced and deeply personal analysis that allows readers to connect emotionally with the lives of people caught up within, and often destroyed by, our criminal justice system. â€œWalidah Imarisha has written a brave book. It demonstrates both the universality and distinctiveness of three lives enmeshed through the US prison system. Imarisha pushes us to give up easy distinctions between innocence and guilt, good and evil, and to experience punishment and imprisonment as the messy, complex systems they are. And she reminds us that while there are no winners in this game, it is one replete with compassion, care, and resistance enough to permeate walls and cages.â€ â€”Rachel Herzing, co-founder of Critical Resistance. "I read Angels With Dirty Faces in one sitting, mesmerized by what Walidah Imarisha has accomplished. It is a daring dive into the real deal about why prisons don't work...written in such lyrical, fierce poetry it takes your breath away." â€”Leah Lakshmi Piepzna-Samarasinha, editor of The Revolution Starts at Home"